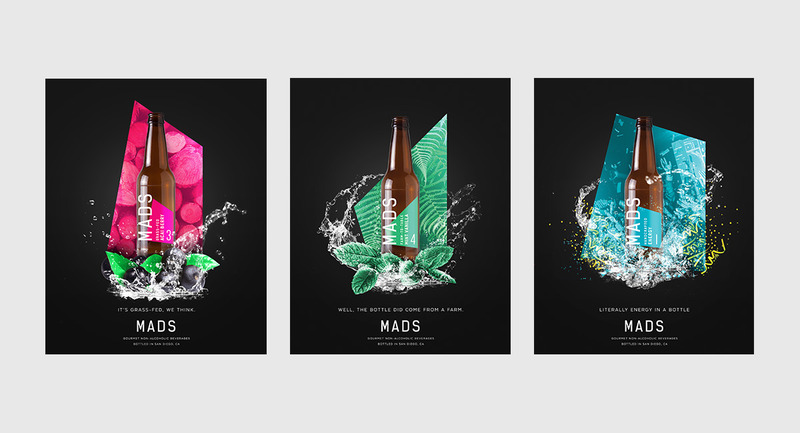 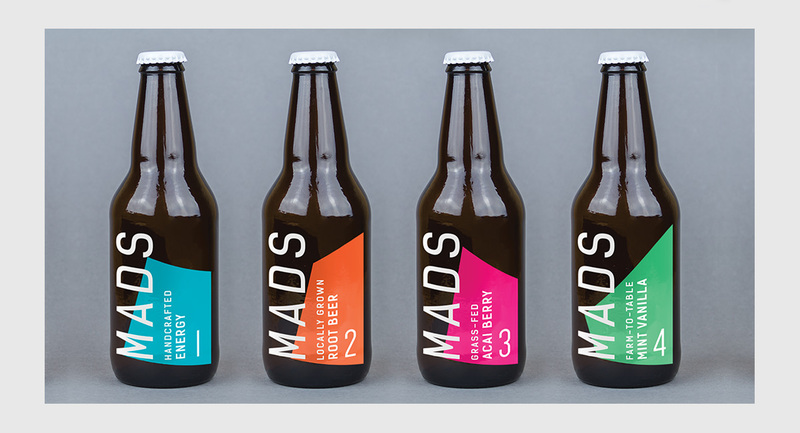 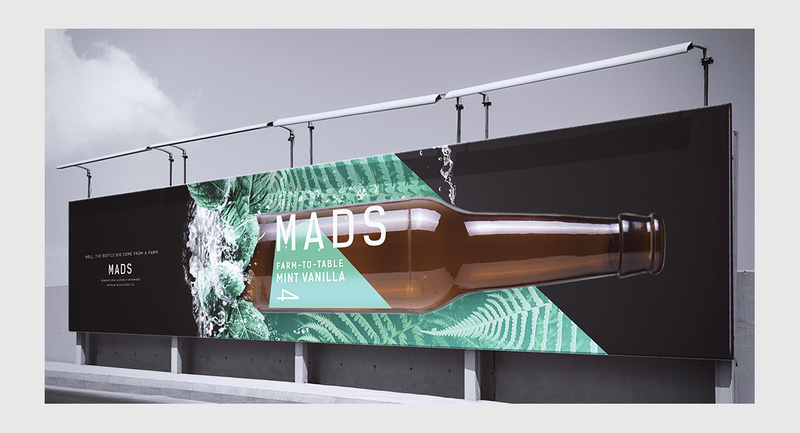 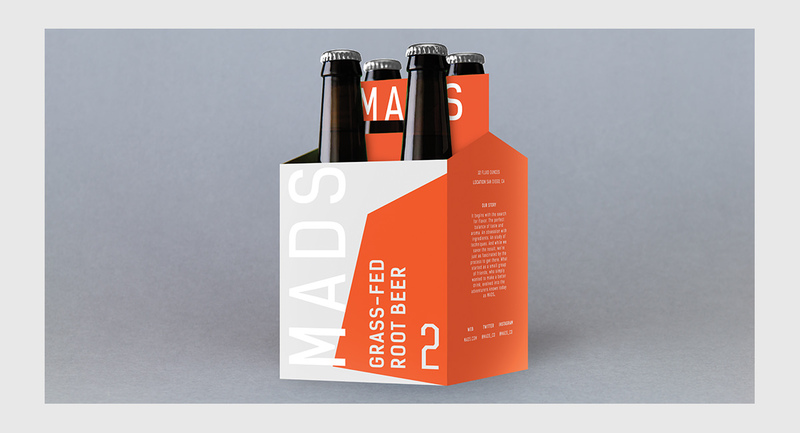 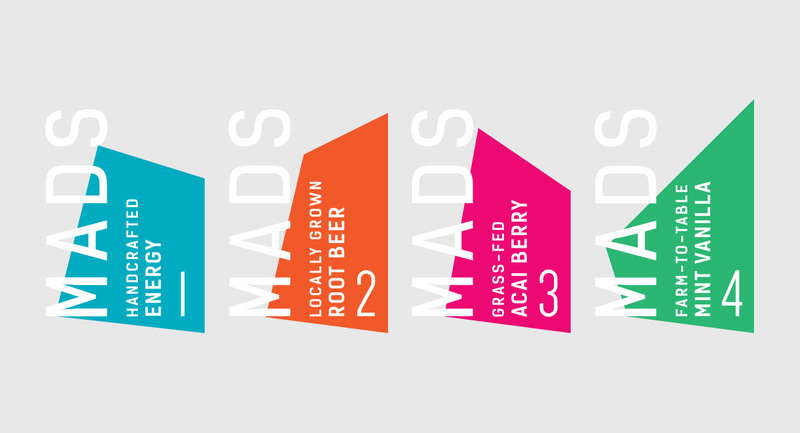 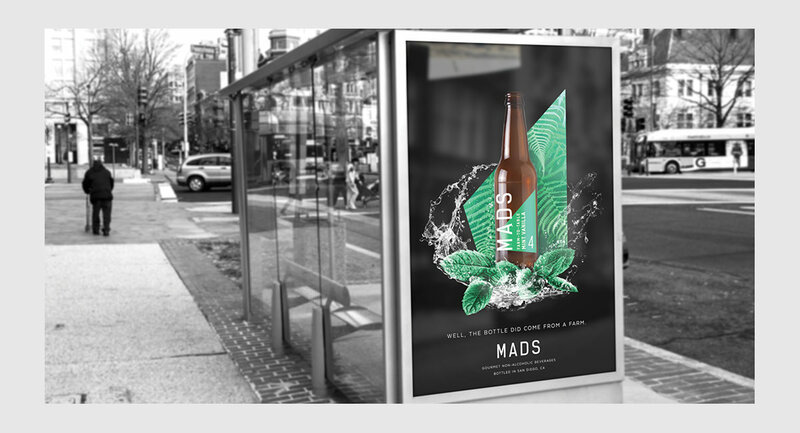 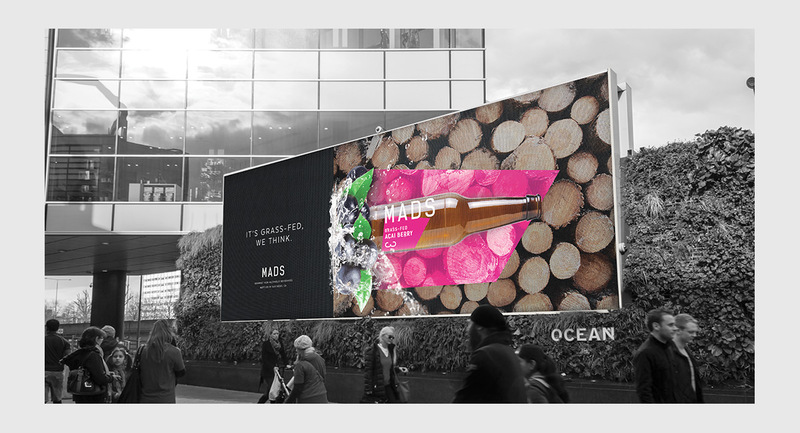 With the rising popularity of “organic”, “gluten-free”, “farm-to-table”, and other vernacular used to describe today’s food and beverages, I created MADS to act as satire to the various healthy, local beverage companies. 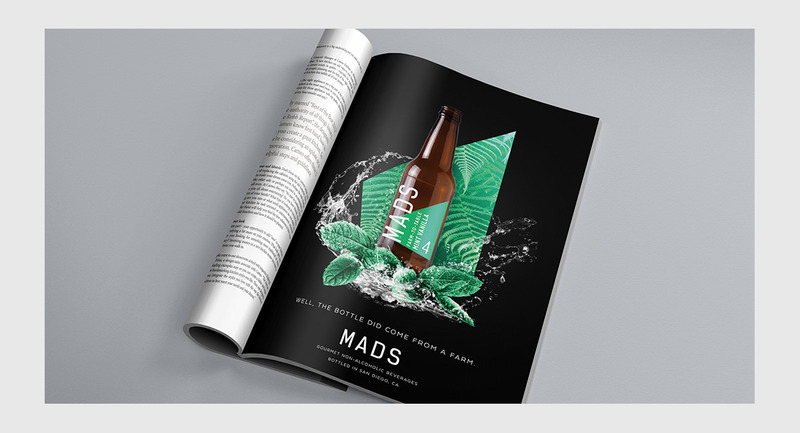 After seeing numerous shoppers choose gluten-free products assuming it was the healthier choice and overpaying for farm-to-table products,I immediately began to visualize the brand and its accompanying advertisements. 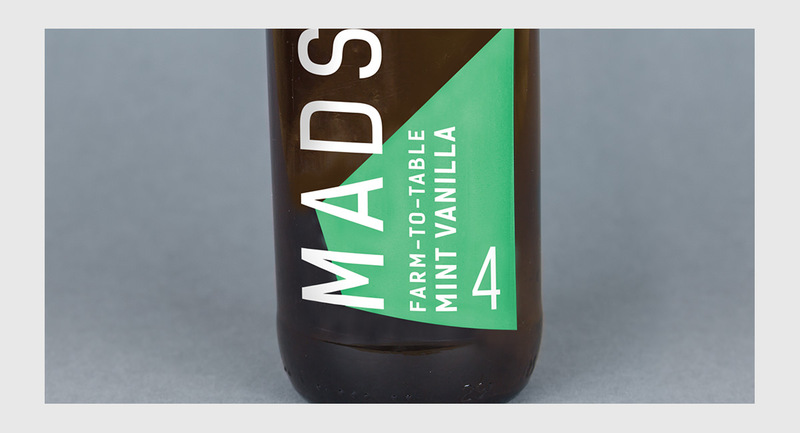 MADS not only uses these frequently used phrases but pairs them with a flavor in a contradicting but well designed fashion.